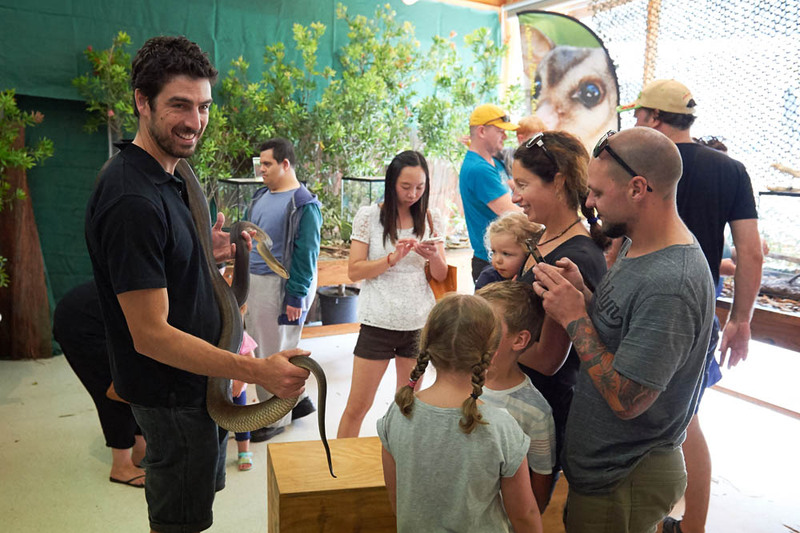 At Reptile Encounters we believe in inspiring students to take an interest in the natural world. Thus, we will dazzle them with enriching information while they interact with our captive-raised, Australian animals. It’s important to instil respect for nature at an early age while preserving the idea that conservation is necessary in maintaining Australia’s rich wildlife. The Barking Owl feeds on a variety of small to medium sized mammals, birds, reptiles and insects. Sugar Gliders are marsupials meaning they keep their young in a pouch. Where do these animals like to live? What do they feel like to touch? Discussion is based around body shapes, colour and texture. For more information on preschool shows and bookings, check out our FAQs here.